Supporters of the Conservatives, Labour and Liberal Democrats should all club together to see off UKIP, a senior Conservative minister has said. Speaking on a visit to the crucial seat of Clacton, government chief whip and former education secretary Michael Gove claimed that Labour and Lib Dem voters were backing the Conservatives in the forthcoming by-election, which UKIP are widely expected to win. According to the Times, Gove also added that every Conservative MP would be required to help in the by-election, caused by Douglas Carswell’s defection to UKIP. 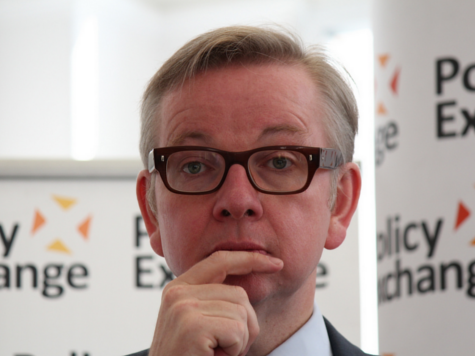 Although some have privately stated their reluctance to campaign against Carswell, Gove has little sympathy for them. He also hinted that the party would adopt a similar strategy to the one it used in the Newark by-election earlier this year, when it held off a strong UKIP challenge by asked supporters of other parties to “lend” their votes in order to stop the Eurosceptic party. Last night, the Conservatives selected their candidate to take on Carswell. Giles Watling, a TV actor who starred in the 1980s British sitcom Bread, was selected in an open primary. Despite talking up the primary as an exercise in local democracy, just 240 people showed up out of an electorate of 67,000. Gove’s declaration will likely delight UKIP, who often like to portray themselves as the “anti-establishment” party in order to win support. Party activists often like to use the collective term “LibLabCon” to refer to the three traditional parties, thus setting themselves up as the only real opposition.